A healthy smile can look even more stunning with the help of professional teeth whitening. There are a variety of things that can stain and discolor your teeth including smoking, wine, coffee, tea, certain foods and even the natural aging process. While your brushing and flossing routine and regular professional cleanings can eliminate surface stains, deeper stains can’t be polished away or addressed with drugstore whitening strips. That’s where professional, in-office teeth whitening comes in. 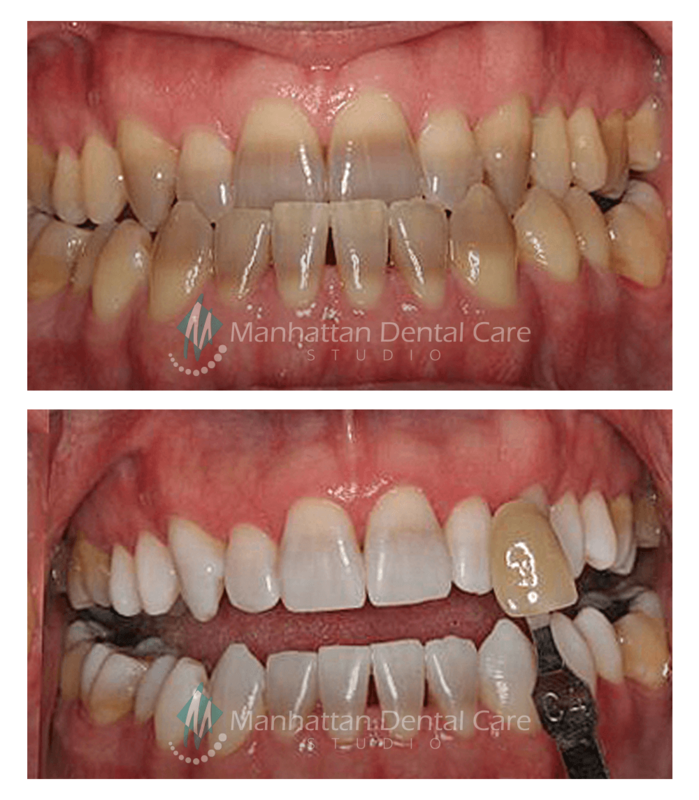 With just a single session at MDCS, we can significantly and quickly brighten your smile without damaging your teeth. Tooth whitening enhances the color of your teeth and can even make them whiter than your natural shade. During treatment, we apply a peroxide gel to the surface of your teeth. The natural chemical reaction penetrates deep into the enamel, bleaching out deep-set stains and discoloration through the oxidation process. There is no scraping or abrasion necessary and the procedure is fast and painless. In a survey asking people what they’d like to improve about their smile, the number one response was whiter teeth. The American Association of Orthodontists discovered almost 90% of patients requested teeth whitening. An in-office teeth whitening procedure can make teeth eight shades lighter on average.